WHAT’S NEW AT ZEN CHIC? 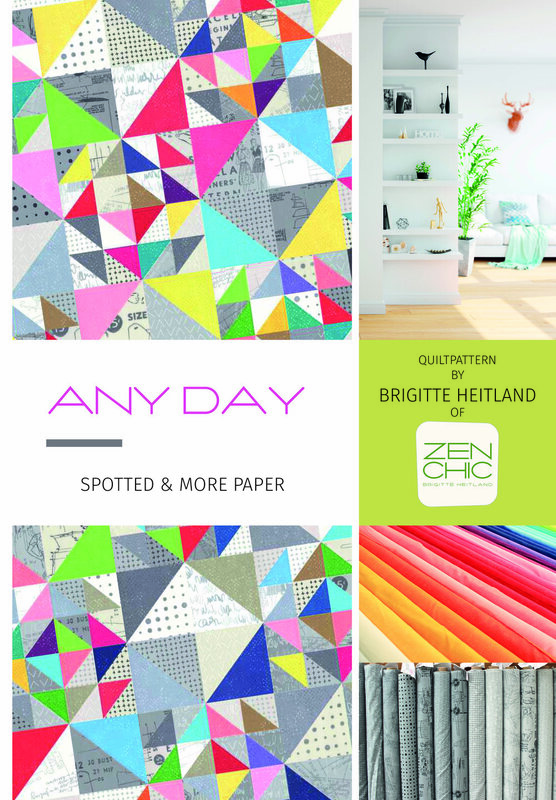 We finally have all the wonderful colors of the new SPOTTED collection and the MORE PAPER collection in stores. And maybe you are in the mood to play around with these fun fabrics? Well, good news: I created this free pattern for you to feature the new fabrics. The good thing is: You need just 2 Charm Packs of Spotted and 2 Charm Packs of More Paper. 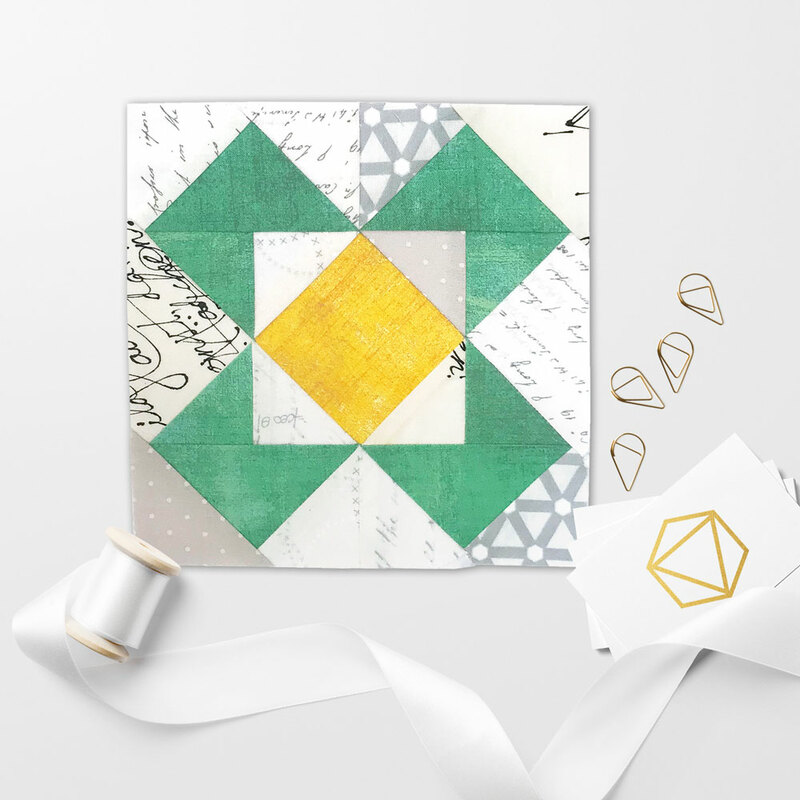 Add a border of your choice (your width, your favorite fabric) - and you are good to go. I used the Moda Cupcake Recipe pad (you need 2 pads #1) and had sooo much fun with them. Can you believe how much it fastens your process? I counted the time and needed 6 minutes to sew, iron and have 5 perfect half square triangles. Yeah - time saving is what counts for me! Last week we worked on Block 42 in our Moda Blockheads 2018 (Round 2) mutual sew along. This week we present Block 43 and I am glad to be your host today. I chose for a simple but elegant 6" block. 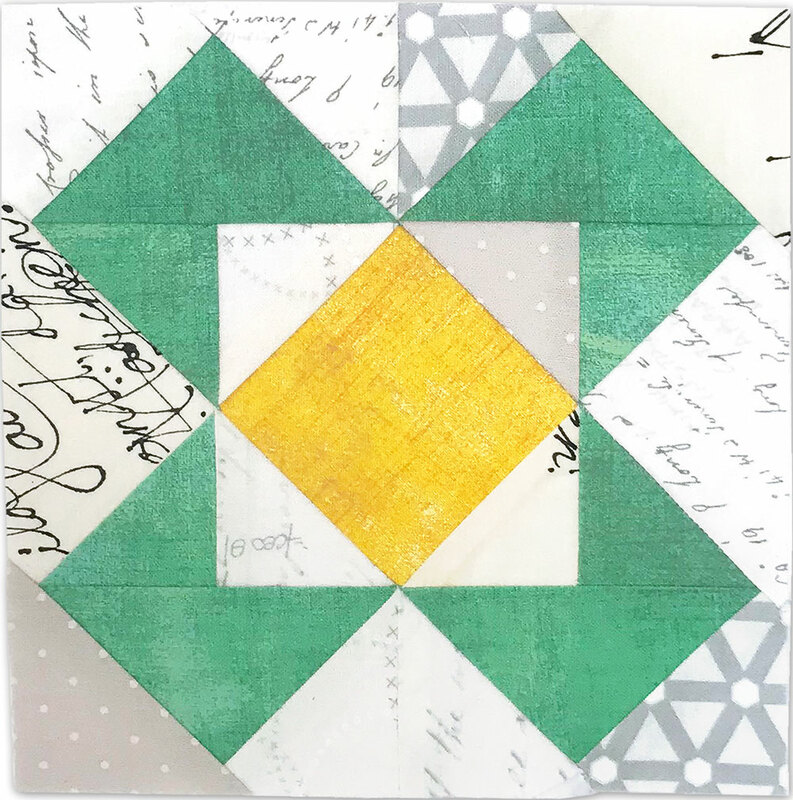 You can make yours special by fussy cutting the middle square, what do you think?